Don't just hire a "lawyer." You are not a case. You are not a file. You are not a claim number. You are a real person with real problems. And while lawyers and insurance adjusters will have other cases that cross their desks, this is your one and only shot at what's right and fair. You need help. You need a tireless fighter. You need firepower. Your case merits some of the best trial lawyers in this State. You don't need to hire a "lawyer." You deserve courageous, relentless, and skilled advocacy that you can count on. 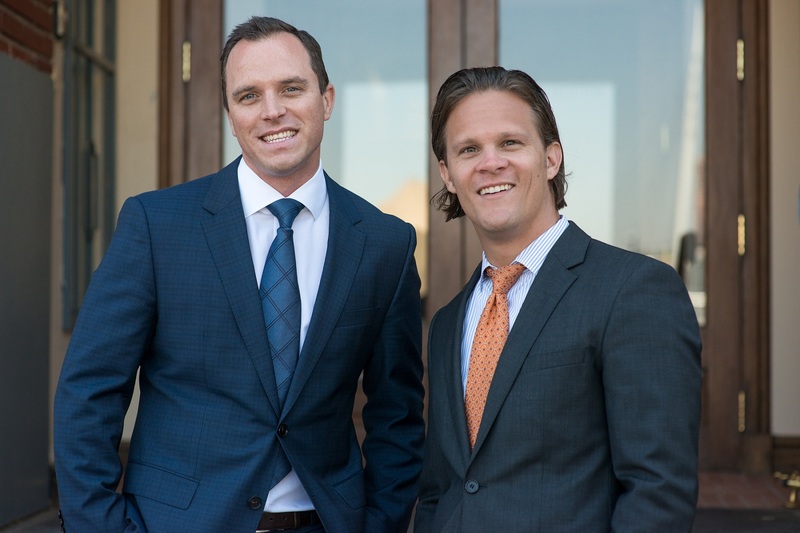 We started this law firm because we saw our client's cases differently than other lawyers. We don't see you as a "file" or a "case." We see you as a real person, with people counting on you, and we understand how difficult a decision it can be to entrust your life into our hands. We look at every client as an opportunity to produce a spectacular outcome in what can often be an extremely challenging and daunting situation. We believe in providing exceptional representation to each of our clients and reaching for the uncommon and extraordinary result. We realize that producing uncommon results requires uncommon grit, creativity and skill. We offer elite representation for regular, well deserving folks. We would be honored to hear about what happened to you and share how we can help get your life back on track. YOUR STORY WILL BE TOLD We understand that every case is different. Every client has unique problems and challenges, and always a very personal story. We have spent many years at the so called "big firms" in firms where there are hundreds and sometimes thousands of clients, where a single client's story often gets lost in the shuffle. We founded our firm so that doesn't happen. We limit the number of clients we accept so that we can personally provide top-rate, personalized, and focused representation to the people that entrust their lives and stories to us. We make ourselves and firm resources readily available to each and every client. When we welcome you into the Zaner Harden Law family, you can be confident that your case will not be handed off to an inexperienced associate. Our founding partners will work directly with you and will be intimately familiar with your story. We understand that every client has a very personal story that deserves to be told and truly heard. At Zaner Harden Law, your story will be told. WHY HIRE TRIAL LAWYERS? Your case may never go to trial. While some clients want their stories told to a jury, for others, the thought of going to trial is intimidating and unpleasant. The truth is, regardless of which group you fall into, your create your best chance at a successful outcome when you put your case into the capable hands of a confident, aggressive, and skilled trial lawyer. This is because most cases do not go to trial. But with a true trial lawyer by your side from the start, you create the conditions for the best possible outcome prior to trial. A true trial lawyer creates risk to your opponent, whether it be an insurance company or a district attorney, risk of an outstanding result for you and an embarrassing loss to your opponent if your case goes to trial and is heard by a jury. If you want to settle, this is how you get the best offer. If you hire a lawyer that does not try cases, or doesn't try them well, you are hiring just another settlement lawyer. The insurance companies and prosecutors know these lawyers well, and they know these lawyers do not present any threat or risk. If they know that you will never go to trial, or that you pose no real threat at trial, they will only present low-ball offers and bad deals; this is because they know that settlement lawyers don't have the chops, willpower, or talent to hold them accountable. For Personal Injury cases, we work on a contingent fee basis meaning that we do not charge anything unless we make a recovery for the client. For criminal cases we charge flat fees depending on the complexity of the case. Only Flat Fee and Contingency. Monday through Friday 8:00 a.m. to 5:00 pm. The firm handles every kind of personal injury claim, no matter how big or how small. Each client gets treated with the same amount of attention and respect. As a member of our firm's family, you will receive not only the powerful resources of our firm, but also personalized and compassionate support of people who care about your progress, your recovery, and justice for your case. You will work directly with the named partners at our firm and the named partners only. You will not be passed off to an associate or a paralegal. Your case will not be lost in the shuffle - we represent a limited number of clients to ensure that we are always available and that your case is always at the forefront. We Promise: Extensive experience with Colorado personal injury claims. Our attorneys have handled many high-stakes, complicated cases, including wrongful death cases and catastrophic injury claims; Personalized service regardless of the size of the claim - we treat each of our clients as a member of the Zaner Harden Law family. Regardless of the size of your case, you can be confident you will feel like family. Commitment to serve our clients - every case is of vital importance to us and we only succeed when our clients do. We give personal attention to each case and communicate with our clients consistently, updating them on case progress and providing support wherever and whenever possible; Trial experience - many people don't know this, but not all attorneys will go to trial. Even fewer will do the work necessary to try a case well. Why? Some are content merely settling cases and many don't have the willpower, courage or the skill to comfortably and persuasively fight for their client in the courtroom in front of a judge and jury. At our firm, you will never have that experience. We have skilled settlement negotiators, but we are trial lawyers first. The reality is that you cannot be a good settlement negotiator unless you are a respected trial lawyer; trial lawyers get the best deals. If the insurance company does not treat you fairly and you need your day in court, we'll be there for you, every step of the way; and Contingent payment structure - you will not pay any legal fees unless you win your case or receive a settlement, which means that you can dramatically reduce the financial risk to you in an already challenging financial situation. Our fee structures are competitive so you can be sure that you are getting great counsel at a reasonable rate. Colorado law is clear - when you've been in an accident and have suffered an injury due to the fault of another, you deserve to be made whole. Whether it is getting a fair settlement from your insurance company, or holding a negligent driver responsible for your life altering injuries, our skilled and seasoned Denver personal injury attorneys will be your helpful guide and powerful advocate. Call today to schedule a free consultation. The firm handles all varieties of auto accidents including car accidents, motorcycle accidents, trucking accidents, and pedestrian accidents. We often take driving for granted. Yet all it takes is the senseless act of one careless driver to change your life in an instant and cause unaffordable medical bills, lost wages, and physical harm that nobody is ever prepared for. All too often motor vehicle accidents cause innocent drivers months, if not years of pain, frustration, and financial difficulty. Like most folks, you probably didn't plan to ever reach out to a lawyer. But the truth is that if you are the unfortunate victim of a motor vehicle accident, you need legal help. Colorado law is complex, but can be a powerful tool for injured victims. Colorado has recently passed many significant laws that may impact your rights and your ability to be fairly compensated. Let us help you navigate the unique challenges of your case and make the most of the intricate and often helpful Colorado laws. Contact Zaner Harden law today for a free and comprehensive evaluation of your case. Be sure of one thing - the insurance company is not your friend. Do not expect an insurance company, not even your own, to look after you or your family. The insurance claims adjusters and attorneys work with one goal in mind: limiting if not eliminating your compensation. Often, the insurance company seeks to settle cases at amounts far less than what the law allows an injured victim recover. Do not help the insurance company by volunteering information that will only be used to reject your claim. Do not go into this alone. Let Zaner Harden Law fight for you for the compensation that you deserve. We have recovered tens of millions of dollars in settlements and verdicts to help clients pay for their medical care, replace lost wages, and balance the real life pain and harm that a motor vehicle crash can cause. We offer elite representation for regular, well deserving victims of motor vehicle accidents. If you were hurt due to a negligent driver, contact us today - you may be entitled to financial compensation for your injuries damages, and our proven and aggressive lawyers are ready to serve you. We understand that every case is different. Every client has unique problems and challenges, and always a very personal story. At Zaner Harden Law, your story will be told. Unfortunately not. When you hire my law firm, you receive a very personalized approach. To try the case the right way and obtain the best result, we need to handle the entire case and employ a case-wide strategy from start to finish. At ZHL, the standard of service we provide to clients can be nothing less than pure and unfiltered excellence. We make several promises to you, our client, to deliver this standard of excellence. First, we promise to never hand off your case to an inexperienced associate or someone you have never met. When we welcome you into the ZHL family, you will have direct and unfettered access to both of the founding partners who will both be fighting for you. Second, we limit the amount of cases we accept to ensure that both partners can be readily available to all of your needs and concerns. And third, we promise that we will be intimately familiar with your story. We understand that each case is different; we founded ZHL because we didn't want a client's stories to get lost in the shuffle as they sometimes do at other firms. We pride on ourselves on our commitment and service to our clients. We know that adhering to these promises is the only way to ensure that each client's story will be told. We employ a variety of strategies, including mediation and arbitration, depending upon case needs. Yes. We have helped several non-profits along the Front Range. We provide a very personalized approach. At Zaner Harden Law, we understand that every case is different and requires a unique approach. Our founding partners will handle your case, start to finish. We work aggressively and intelligently to ensure that you will receive the best possible representation. The more you know the better. We am here to help. It is your case - it is critical that you know as much as possible to make wise decisions. We will provide each client a free consultation and if we believe it would be best for the client to represent themself, then we will give candid advice on how to do that. 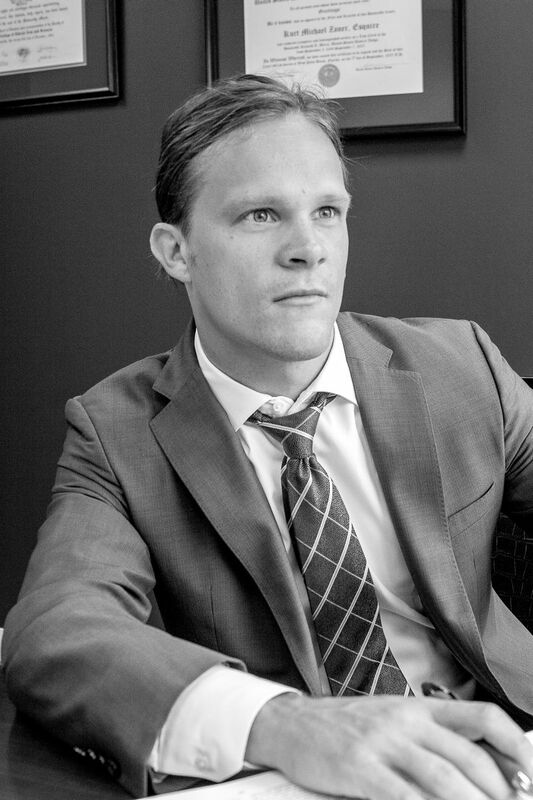 Mr. Zaner is a zealous advocate for his clients, drawing on a unique collection of legal and non-traditional experience, all of which benefits his clients. He is the recipient of some of the best legal training in the country, a published author of federal case law and legal articles, and is an experienced stage actor. He has dedicated his legal career to representing folks against the modern day Goliaths. Whether fighting against the State's unjust criminal prosecutions or battling corporations that refuse to take responsibility, Mr. Zaner enjoys the challenge of standing up for people that seemingly have the odds overwhelmingly stacked against them. Mr. Zaner has spent his career honing his craft as a trial lawyer in order to even the playing field for his clients. After graduating law school near the top of his class, Mr. Zaner went on to clerk for United States District Judge Ken Marra. Working side by side with a Federal Judge on one of the largest caseloads in the country, Mr. Zaner learned the art of persuasive advocacy both through legal writing and courtroom theatrics. Most importantly, he learned how cases are won from behind the bench. Prior to co-founding Zaner Harden Law, Mr. Zaner practiced with some of the best known trial lawyers in the country. In Florida, Mr. Zaner worked on the most complex of cases that resulted in a multi-billion dollar settlement; he also crafted federal case law that permitted workers around the country to collect wages from corporations that had been wrongly denying them. In Colorado, Mr. Zaner has successfully represented hundreds of clients across the State of Colorado, trying cases at every level of Colorado State Court. 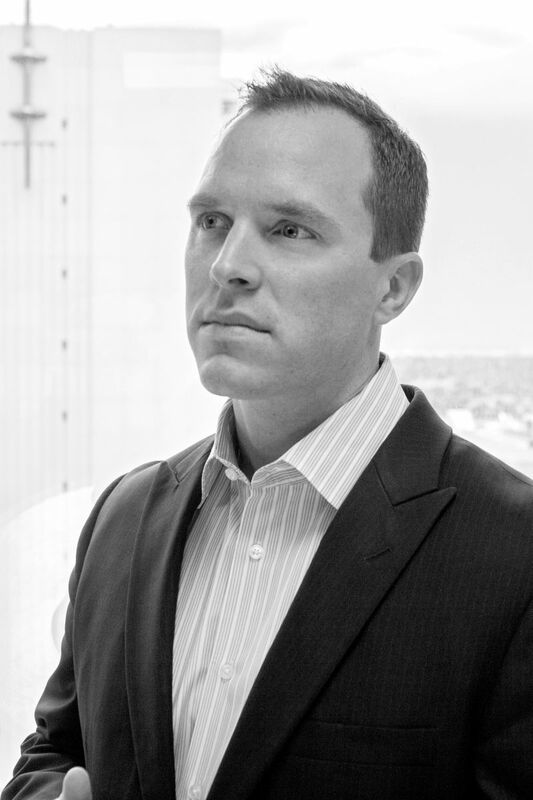 In earning victories for his criminal clients in the form of acquittals at trial, dismissals before trial, and dismissals from appellate courts, and for his civil clients in the form of the compensation they deserve, Mr. Zaner takes great pride in helping those that entrust their most significant legal problems to his law firm. When not practicing law, Mr. Zaner spends much of his time with fiance outdoors in the mountains or on the stage in a local theater production. Marc Harden is a committed and passionate advocate for victims of serious injuries and unfair insurance companies. His clients include victims of orthopedic trauma, spinal cord injury, traumatic brain injury, nerve damage, and families that have suffered the wrongful death of a loved one. Mr. Harden specializes in cases arising from auto collisions, unsafe premises, and insurance disputes. Mr. Harden is a dedicated and experienced Colorado trial lawyer. He has served as lead trial counsel on behalf of hundreds of injury victims and has obtained numerous significant jury verdicts in Colorado. Mr. Harden has recovered tens of millions of dollars in settlements and verdicts for his clients. Mr. Harden has been designated a Super Lawyers Rising Star, a recognition for the top 2.5 percent of lawyers in Colorado under the age of 40. He has also been recognized as a top 40 trial lawyer under the age of 40 by The National Trial Lawyers, a limited invitation extended exclusively to lawyers that exemplify superior qualifications, trial results and leadership. Mr. Harden currently serves as Co-Chair of Colorado Trial Lawyers Association EAGLE and is an active member of the American Association for Justice. Mr. Harden is a Colorado native, husband, and proud father of three young children.